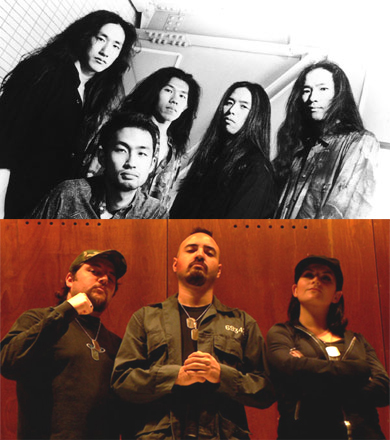 There are four artists called Vigilante: (1) progressive/power metal band from Japan that was formed in 1988, (2) thrash metal band from Norway formed in 1988 (split up) (3) Jesse Taub's alias, a video games remixer; a strong contributor to OCReMix (since 2003) and some of its projects, (4) electronic/industrial metal band from Chile formed in 2004. VIGILANTE was created from Iván Muñoz initiative (voice, sequences, and guitars) and Rodrigo Ramirez (sequences) to create a musical project to join their passion for the electronic, metal and industrial music, with a strong and direct message able to wake up consciousness among people. Once together, they start a hard composition work which will give birth to their first LP "The Heroe`s code", published in South America by Twiligth Records, in Europe by Black Rain Records and in Russia by Irond Records. During 2005, Mario Chacana in Electronic Drums and Rodrigo Albornoz in Guitar join the band to give the strength and passion that Vigilante needed live. In such year, Vigilante gets a great acceptance in their country and worldwide for their sound as well as for their performances live, obtaining reviews and interviews in several places of the world. 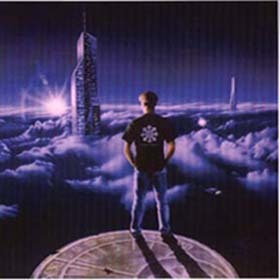 Among the constant work of remixes made by Vigilante, many of these were published: Pornomotora ("Mantra"), Z-prochek ("One Day"), Alien produkt ("Acceso Denegado"), Golem 101 ("Dunkelkammer"), Tyske Ludder ("an_vordester_front"), etc. In addition, the band participates in important national and international compilations and gets to be released physically and digitally in several countries of the world. About the middle of 2006, Vigilante faces great changes in its original structure, since Mario Chacana (Electronic Drums) and Rodrigo Albornoz (Guitar) leave the band. Therefore, Vigilante decides to finish with the live electronic percussion and the group gets reduced to three members where Mario Salgado joins in guitars. With such group, Vigilante stars its first European tour throughout countries as Spain, the Netherlands and Germany, where they participate in the Wave gotik treffen 2006, one of the biggest and most important festivals in the world. Thanks to the collaboration of bands from such a different countries as Slovenia, USA, Germany or France, Vigilante releases its Maxi CD "Juicio Final" by the German label Black Rain Records, including a series of remixes and, for the first time, titles in their native Spanish language. 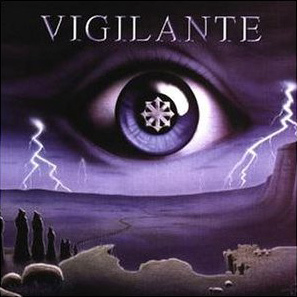 At the end of 2006, the co-writer of Vigilante, Rodrigo Ramirez, decides to leave the band so Ivan Muñoz takes the whole composition’s responsibility of Vigilante. After several auditions, Vigilante finds the necessary support and strength for live performances, by joining Lucia Ponticas in keyboards and Daniel Duarte in Guitars. Vigilante is currently doing their best in their next 3rd production and 2nd LP, tentatively called "A WAR OF IDEAS", and planning their 2nd European tour.